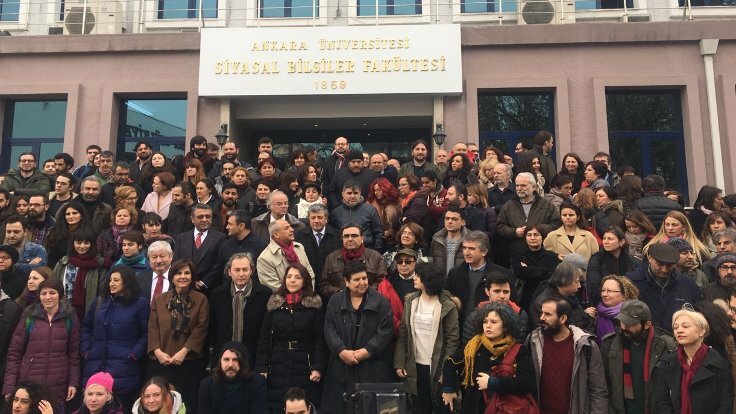 Following the most recent decree issued by the Turkish government on Tuesday night that purged a large number of civil servants, no professors are left to teach 24 undergraduate courses at Ankara University’s department of political science, with 50 master’s students also stranded without a supervisor. The Cumhuriyet daily reported the announcement of Professor Ayhan Yalçınkaya, who said that 23 academics had been purged from one particular faculty. Fourteen graduate courses have been interrupted as a result of the purge, coming in the middle of the semester. A total of 330 academics were dismissed in Tuesday night’s decree. According to the new decree, 4,464 people working in government service, including teachers, academics, police officers, soldiers, members of the judiciary and journalists, were dismissed from their jobs. This article originally appeared in Turkish Minute on Feb. 9.